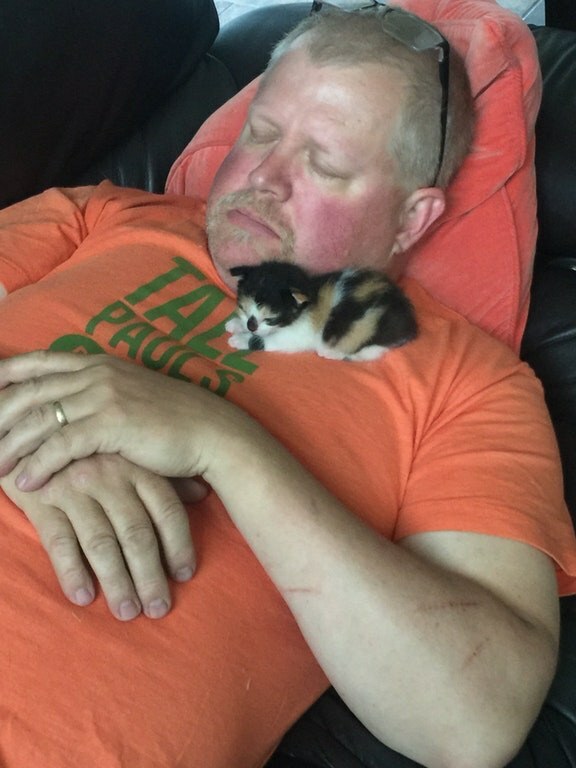 This guy said he didn't want to hold a kitten, so the little calico took matters into her own paws and made him a changed man. 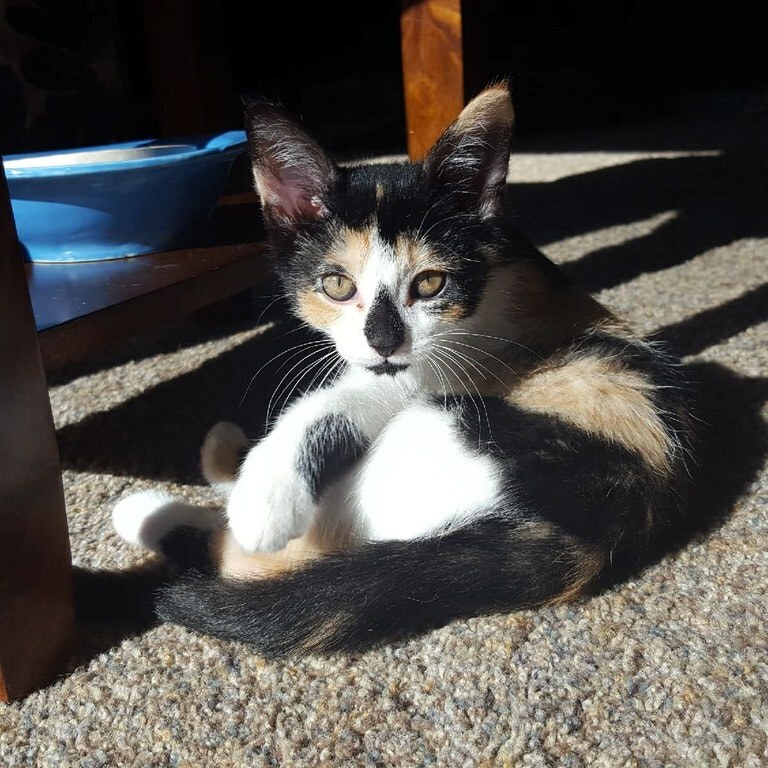 A tiny calico was found along with her siblings at a local golf course without a mother in sight. "My sister found five kittens on a local golf course. The mom hadn't been seen for two days, so she took them in and has been hand raising them," reddit user meet_the_dean said. "No, I don't want to hold a kitten," their father said after they brought the feline babies home. He tried to stay away from all the meows. They already have a 14 year old tabby cat and didn't want another cat right now, but one of the kittens had a different plan for the family and she was determined to change his mind. 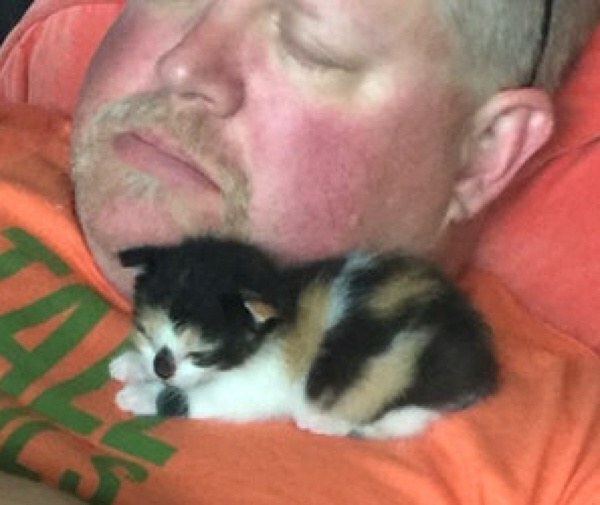 The more the guy resisted, the more this calico kitten demanded cuddles from him. Then one day this happened. Birdie was around two weeks old at the time. "She was just starting to open her eyes and move around. All she wanted to do was cuddle for warmth, which he has a lot of," the son said. 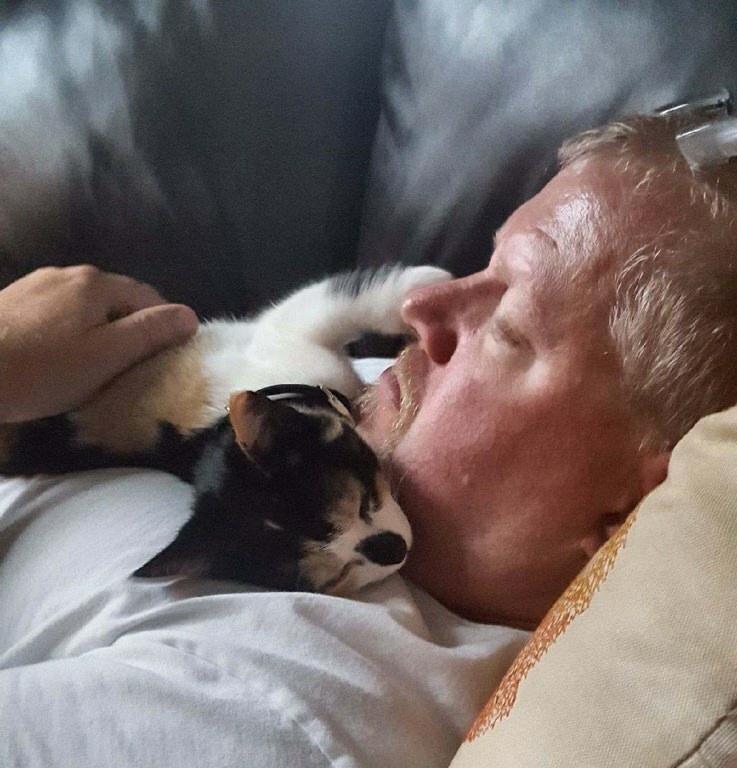 After taking a nap with the little purr motor on his shoulder, the father could no longer say no to his tiny feline friend and has been cuddling with her ever since. As the kittens grew older, they became more playful and affectionate. The family initially planned to have all of them adopted out, but the calico had crept her way into everyone's heart. "She has turned into the most loving cat and they can't let her go," the son said. Birdie is now about three months old. The man who tried to resist her love and affection, is now her closest companion, her human for life! Cats choose their humans :). Share this story with your friends.